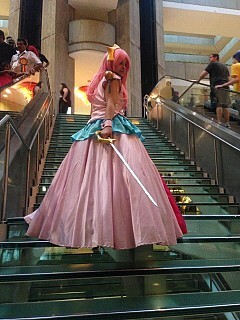 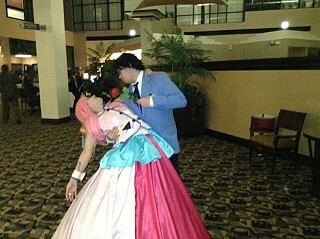 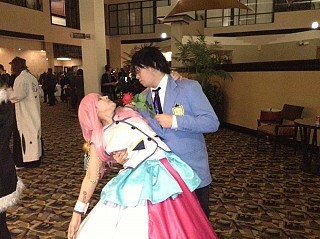 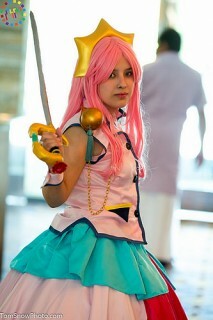 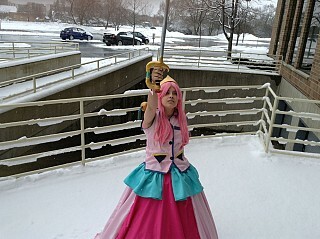 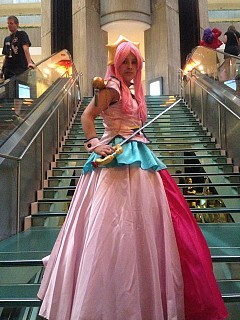 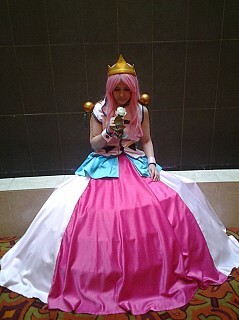 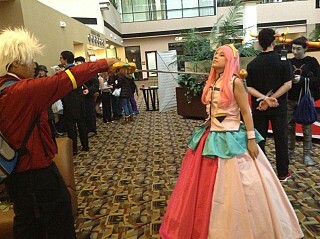 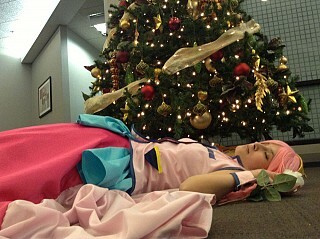 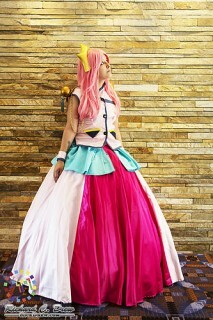 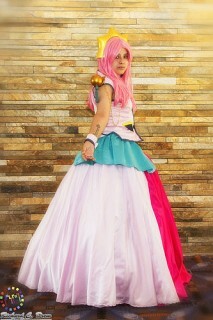 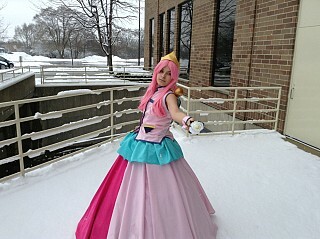 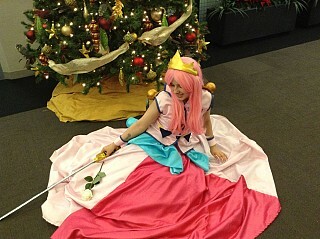 This cosplay was made for me by the fabulous Ichigo M. She made the dress, wrist cuffs and the shoulder pieces. 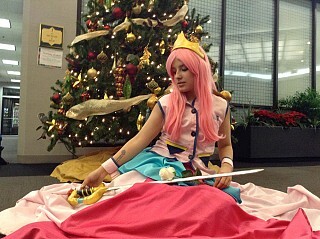 The wig is a Hera from Epiccosplay in Princess Pink. 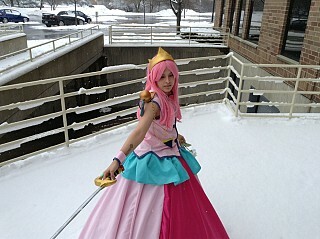 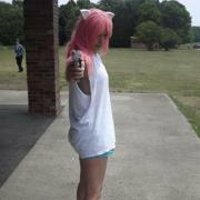 The tiara was made by the amazing Kat Tehninja. 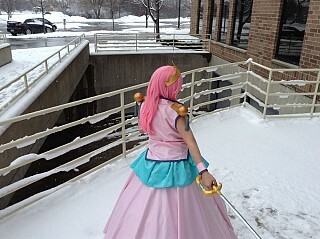 The sword was made by the Vaults of Vanguard. 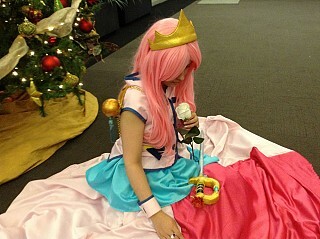 The ring broach were made by Kittenstrings cosplay.